A stunning futuristic city, divided into several islands. 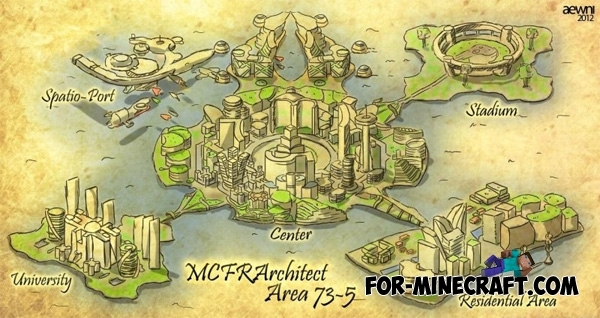 Each island is a small branch from elegant central part, so-called Area 73-5. 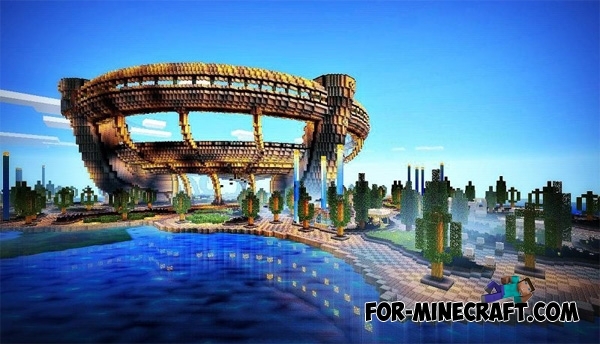 Ceylon city map for Minecraft PE 0.11.0"Ceylon city" - a metropolitan area where you can find everything from functional casino and sports stadiums to massive apartment complexes and supermarkets.